Motherhood is by far the best job, but it can be a lonely job. For no reason in particular, it gets lonely. You would think it would be the opposite, because you're with a tiny human all day. But obviously, that tiny human can't connect with you on the level you need him/her to. I know my husband is there for me, he's always willing to listen to how I feel and offer comfort and Godly wisdom. But he still doesn't completely understand. There are so many changes happening physically, emotionally, mentally, and even spiritually that he can't possibly understand. I can't even understand all the changes happening, so it brings on a feeling of isolation. That's why we need each other. We're in this together, us mamas. Too often we are so quick to judge another mom for the choices she's made in parenting. For everything it seems. She believes in "crying it out" . She follows a strict schedule. She lets the baby stay up till midnight. We don't know what we're doing so we look down on someone else to make ourselves feel more sure, more confident. Why? This isolates us even more. We need to be united, encouraging each other in our struggles and bonding through our mutual I-don't-know-what-I'm-doing. This is why I was so excited when I heard about the new free Kindred app. Kindred is designed to unite mothers together, to break the trend of judgment and create a community. 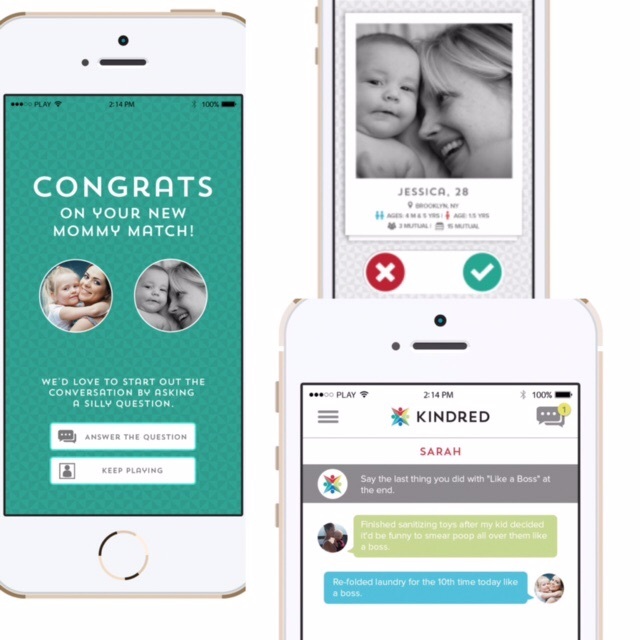 Kindred's founder, Christina, says of the app, "In a nut shell Kindred will be the common place all types of moms go to meet new mom friends locally. It will suggest users to one another as mommy maybes and once both moms accept the suggestion you get a new mommy match! The suggestions will be based upon your likes, interests and children's ages to name a few things. My vision for Kindred is to help break the isolation and hardships most women face throughout motherhood. Yes it is wonderful and amazing to be a mom but not having a local circle of friends can make it a hard and lonely journey. I also know it's REALLY awkward to try to make mom friends while out and about so I'm hoping to end that stigma as well!" The app will be available for free download very soon, but you can sign up now on their website to get updated and start making those connections. Also check out their Instagram and Facebook page! Let's start a revolution of being united in motherhood and not divided, of love and encouragement. Because we all know how hard it is. And each one of us is just trying to do the best we can for those little babes that we love. This post was sponsored by Kindred. As always, all thoughts and opinions are my own.